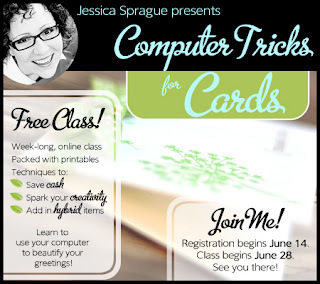 The amazing Jessica Sprague is offering a free class on Computer Tricks for Cards! Click the image to sign up. It starts June 28. Love her online classes! !